Maysan province is producing 200,000 bpd of crude oil per day. 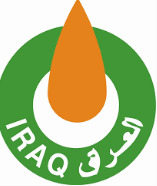 Missan Oil Company (MOC) has announced Halfaya oil field has an additional four wells according to Adnan N. Sajit, the director general of MOC. The Chinese operators, Boai and Daiken, completed the work on orders of Petrochina. Since 2010, 165 wells have been completed in Halfaya. The field in Maysan province is producing 200,000 bpd of crude oil per day.